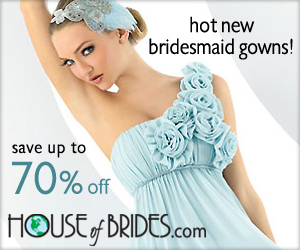 So you are searching for plus size bridesmaid dresses for the full figured women in your bridal party. The challenge is to flatter their silhouettes and the other bridesmaid’s figures too while making them all look like they belong in the same wedding party. No problem! This is a challenge that is easy to overcome. 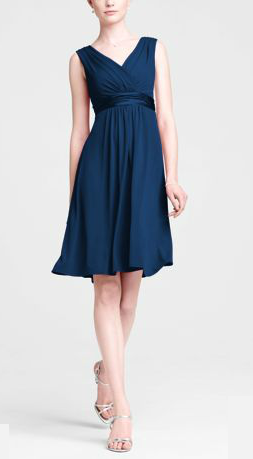 Today’s bridesmaid dresses offer styles, fabrics and designs that flatter varying body shapes and sizes. And you don't have to break everyone's wallet either to find dresses that will make all your girls happy. 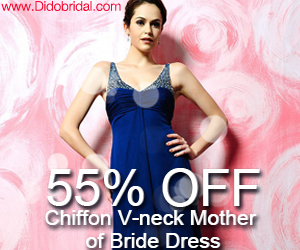 You can rest assured that you will be able to find affordable bridesmaid dresses and even cheap bridesmaid dresses that will look stunning (but not more stunning than you) on your wedding day. And if you like to be a little edgier and not have the exact same dress style for each bridesmaid, then you can choose different styles to accentuate or downplay features of each woman. You can unify their look with the color scheme, fabric, dress length and accessories. Be prepared before you shop though. You will need to stand your ground and have a pretty good idea what styles look good on different body shapes and sizes. So read on so you can start picking out plus size bridesmaid dresses you love and know will make your girls look and feel beautiful too. You do want them to smile for your pictures ---right? Avoid the Drama - Know your Stuff! Most women, regardless of size, fall into one of the five body shape categories: Hourglass, Pear, Inverted Triangle and Apple. To become familiar what works and doesn't work in dressing these silhouettes, go to this link What is my body shape? to learn more. You of course will have a salesperson who will be able to guide you when it comes to picking out wedding party dresses for your girls, but it is always a good idea to know what you like and don't like beforehand. Big tummy, waist and hips: Go with empire waist styles with an A-line skirt to draw attention away from the natural waistline. The fabric will drape over these problem areas while minimizing her size. Hourglass, Apple or Pear Shaped: Column dresses look attractive on slim to average-sized women regardless of their height. However, this style should not be worn by women with a voluptuous, curvy figure or those with a heavier middle section, wide hips or big bottom. If you don’t like the “sausage” look then avoid this dress style altogether even if it it does show up in the plus size bridesmaid dresses section of your bridal magazine. Look for dresses that don’t add bulk around problem areas such as ruffles, added fabric or big bows. 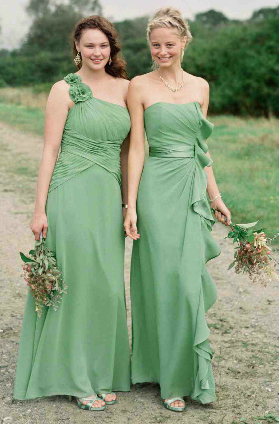 For example, if a bridesmaid has a very large bust, you don't want her wearing a dress that has a ruffled top. It will only make her appear larger than she is. Open necklines are the most flattering on plus size women especially V-necklines and sweetheart necklines. Go Vertical: For you plus size bridesmaids, consider draping, ruffles or ruching that creates a visual vertical or asymmetrical line. This will elongate and slenderize their silhouette. A-line dresses flatter nearly every shape and size and it is a good choice when your bridesmaids have varying body shapes and sizes. Regardless of length (short, tea length or floor length), A-line style bridesmaid dresses are one of the most versatile styles you can choose. If your full figured bridesmaids have a large bust line it is best to avoid strapless gowns. They just won't get the support they need. The best option is to go with wide straps so they can wear a supportive bra. Ruching is a hot trend and it works really well in masking problem areas. Finally, when the time comes to have your bridesmaids try on dresses, make sure they look proportionate from top to bottom. Also, have them bring along shapewear, a supportive bra or corset and shoes with heels. It all adds to the final look and will help you make the right decision.